Rambo 5 just began shooting only hours ago, and damn if the first set photos don't have us excited. Sylvester Stallone is returning to his iconic role, and this time he's putting a slightly different spin on the character. The big reveal shows him on his ranch, duded up like a badass cowboy. Wearing a signature hat and Wester shirt, the actor can be seen pulling on some cow wrangling gloves and sporting leather chaps. About the first image, which Sly shared himself, he says this. He doesn't immediately come right out and say what he's shooting, and a cursory look might point to the next great Western. But the second image shared by Stallone all but confirms we'll see his legendary freedom fighter back in action. Seen sitting on top of a horse as he makes his way across a heavily wooded area, Sly offers these words. "Comes a Horseman Wild and Free. @rambomovie #rambo5." When we last saw John Rambo, he was heading back to his ranch. And it looks like he's spent quite a lot of time getting reacquainted with his equestrian lifestyle. Gone is his signature red bandana, replaced with a Stetson that would look right at home on the head of the Marlboro man. The fifth chapter in the timeless Rambo saga finds John searching for the daughter of a friend, who has been kidnapped. He must leave his ranch to cross the U.S.-Mexico border to hunt her down and save her. He soon finds himself going up against one of Mexico's most violent cartels as he gets swept up in a tale of human trafficking. By the looks of things, this could be the best Rambo yet. And it almost didn't happen. Stallone has wanted to make Rambo 5 ever since the fourth installment, which was simply called Rambo, debuted way back in 2008. But it's taken a lot of hard work to get this far. For a short time, there was a Rambo TV show in the works, which Sly was attached to before bowing out. It was supposed to follow John Rambo's son. There was also the idea to completely reboot the series for the big screen, which wouldn't have even featured Stallone in a cameo. As you can see, Sylvester has brought the entire project around full circle, and he's back in the saddle, literally. 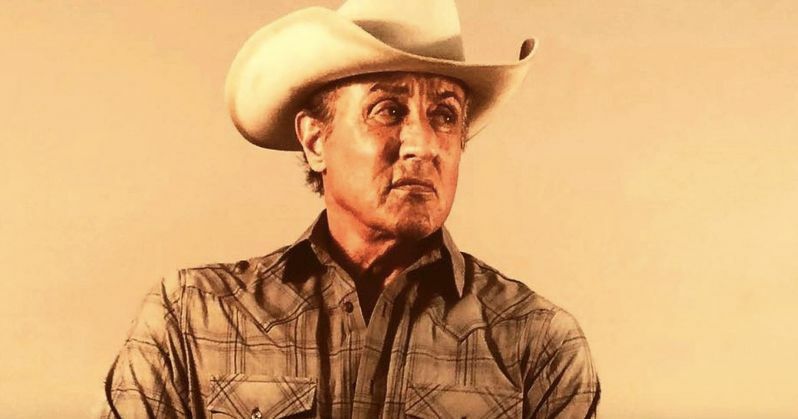 Sylvester Stallone shared these images of his return on his Official Sly Stallone Instagram. And they are truly a sight to behold. We're not sure exactly what this next chapter in the Rambo series has in store, but Sly is also returning this November to his iconic Rocky character in the holiday sequel Creed II, which will bring him back face-to-face with Ivan Drago, from Rocky IV. There is no word yet that any previous Rambo friends or foes will be turning up here. We'll just have to patiently wait and see.